An app has been unveiled for Nigerians that will enable them convert their airtime to cash and is called Aimtoget Transact. The app also lets you purchase airtime of any network, Data plans at cheaper rates, Transfer cash within users and withdraw your funds to any local Nigerian bank. Your transactions are done in a secure environment and even the login has a fingerprint for faster authentication sign in. Aimtoget Transact is the first mobile app that allows converting of airtime to cash and withdrawing the cash from your bank will take no time. Install Aimtoget Transact mobile app from playstore and register an account or sign in, if you already have an account.Now, to fund your wallet, under FUND: Select “AIRTIME” as fund method and enter the amount of airtime to transfer to the number. Input and confirm the number you are transferring too in the next page. Your wallet will be credited immediately and you can refresh your dashboard to see it.You can also make withdrawal from your bank account or purchase airtime after successful funding of your wallet. Go to “Withdraw” and input the required details and that’s all to receive your alert. If any issue occurs, you will be contacted within 24 hours. You can also share your wallet funds to users on Aimtoget Transact mobile app. At the bottom, you can also top up your line. Note that you cannot empty your wallet when withdrawing funds. At least, N100 can be left. And also note that 25% is the charges for wallet funding. 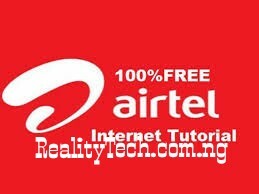 Stay Connected To Realitytechszone.com.ng, We Have Alot To Offer You Guys.